I am more than aware that we are coming up to the end of November so at this point, flip flops and summer weather have long gone and in some minds, feet have gone into hibernation for the winter, but not for me. The ridiculous amount of walking I did in Florida last month has resulted in some rather unattractive hard skin, let's call a spade a spade here! 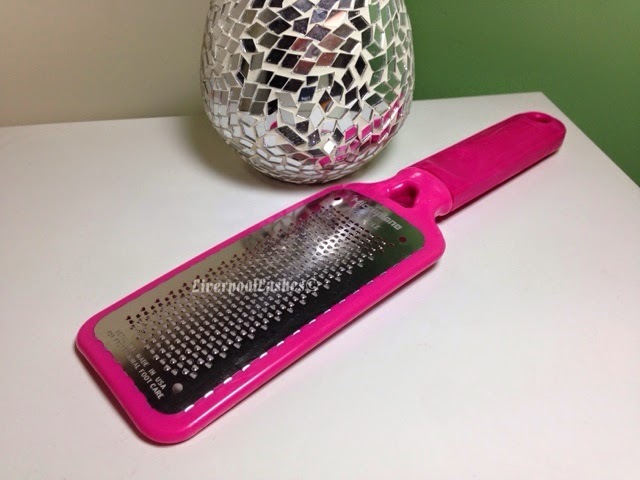 I've had my Microplane Colossal Pedicure Rasp for around 18 months now and after converting from a few various other foot accessories, it blows my mind how good this bad boy is - its incredibly satisfying! These rasps would make a good retail product as almost every client tells me 'they need one of those!' They do do a retail version which I haven't used. To be brutally honest, it's smaller and although I'm sure it would do just as good a job, the price difference really isn't that much so I would probably just retail the full sized version. Anyway, I know this is a totally random post but after doing my own feet with it last night and it's likely that there are a few followers who are currently doing a pedicure course at this time of year, I figured I'd mention is anyway. Sidenote: If you're not a pink fan it is also available in brown here.